What is a Foreign-Trade Zone? 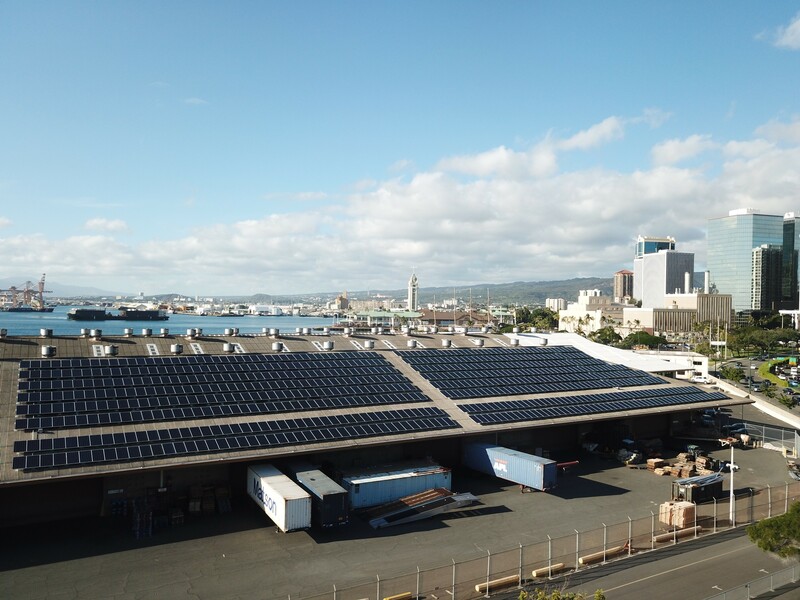 Hawaii’s Department of Business, Economic Development and Tourism said it has completed the installation of a 300-kilowatt solar photovoltaic system at its Pier 2 facility in Honolulu. The department said the PV system, which was completed in December, consists of 1,070 panels and has an annual output of nearly 549,000 kilowatt-hours. 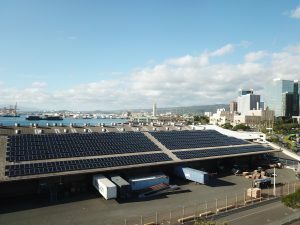 The solar PV installation at DBEDT’s Pier 2 facility, home of the department’s Foreign-Trade Zone division, is considered to be the largest solar system in the core downtown business district and produces nearly all of the facility’s daily energy needs, according to a news release. “We’re making great strides toward meeting our 100 percent renewable energy goals, and this photovoltaic energy system is another example of the state’s commitment to these goals,” Hawaii Gov. David Ige said in a statement. The Foreign-Trade Zone said it plans to expand the system through energy storage and the production of other forms of energy, such as hydrogen, which in turn could be used to fuel the division’s fleet of forklifts. In August, Honolulu-based car dealership Servco Pacific Inc. broke ground on the state’s first publicly publicly accessible hydrogen station. Located at 2850 Pukoloa St. in Honolulu, the facility is expected to be completed by early 2018 and will electrolyze water to produce hydrogen on site. The Hawaii Foreign-Trade Zone #9 supports the expansion of imports and exports, manufacturing and the Maritime industry in the state. According to DBEDT’s 2016 Annual Report, the Foreign Trade-Zone division received adjusted appropriations of $2.14 million from the foreign trade zone special fund. Hawaii-based Island Pacific Energy handled design and installation of the solar PV system, Skikink told PBN in an email. Copyright © 2019, Foreign Trade Zone #9. All rights reserved.